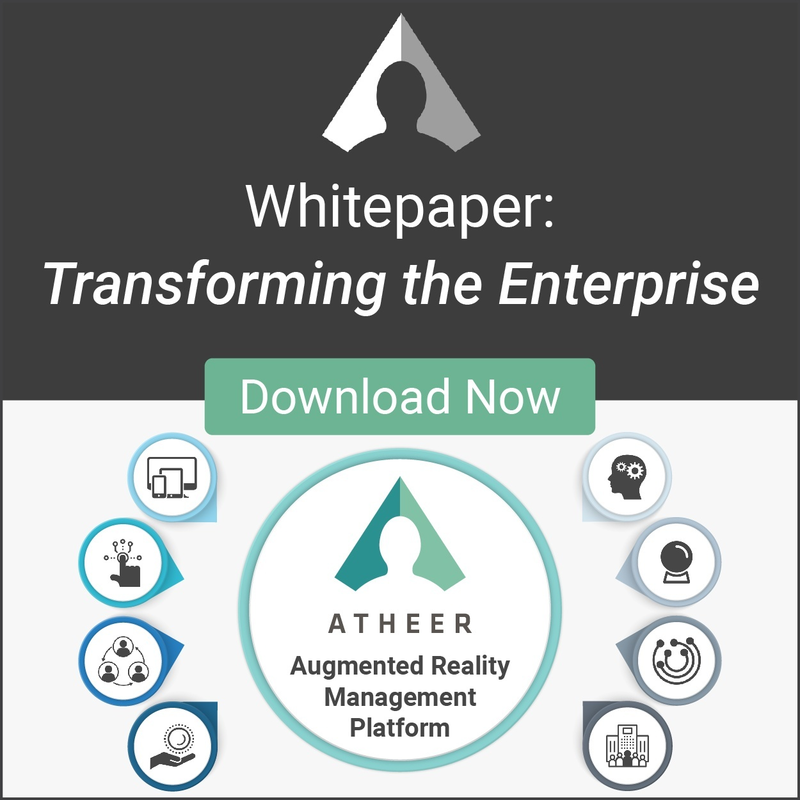 SANTA CLARA, CA, JANUARY 22, 2019 – Atheer Inc., a leader in enterprise augmented reality and pioneer of the world’s first Augmented Reality Management Platform (ARMP), today announced availability of the Atheer AR Management Platform client as a native Apple iOS app for use on the Apple iPhone and iPad (for iPhone 6, 7, 8, X as well as iPad and iPad Mini Gen 2 and above - on iOS 12.0 or later). It includes a broad range of rich capabilities - including the ability to make See-What-I-See group video calls, use remotely-delivered work instructions, as well as a host of other features aimed at supporting the unique AR needs of enterprises and their supply chains. "Shipping Atheer as a native Apple iOS app for the iPhone and iPad is a major step forward in delivering on our device-agnostic vision for ARMP," said Atheer CEO Sanjog Gad, referencing the new enterprise software category pioneered by Atheer and described in the recent whitepaper, Transforming the Enterprise. "We believe enterprises should be able to start using AR with the devices that best fit their needs and their budget. Providing Atheer as a native iOS app allows customers to do just that." 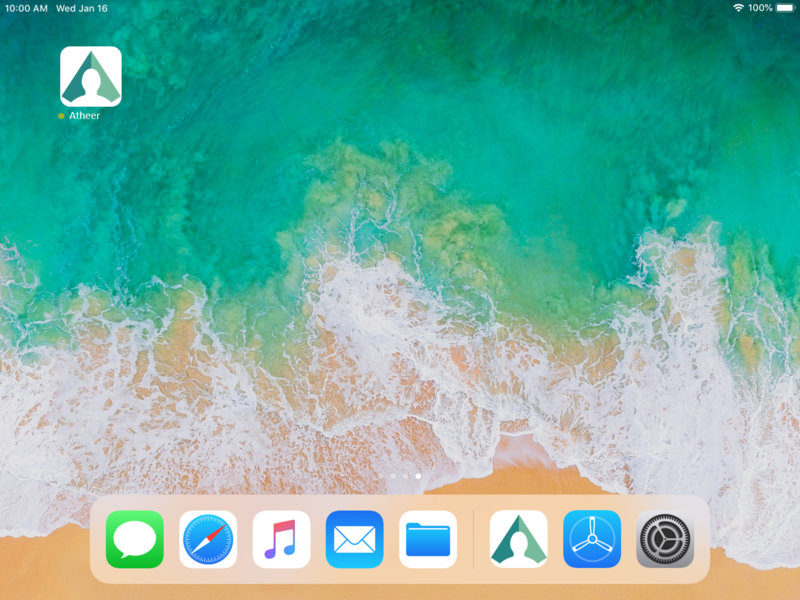 This announcement follows the news last year that the Atheer AR platform had been optimized for the Safari web browser on the Apple iPad Pro. The Apple iPhone smartphone and iPad tablet are important hardware platforms for Atheer. According to December 2018 International Data Corporation (IDC) market research data, Apple was on track to have shipped more than 210 million iPhones in 2018 - and holds a significant share of the enterprise mobile device market. In addition, a 2018 survey by Mountain View, California-based data protection and file sharing company Egnyte concluded that 79 per cent of all mobile business data activity took place on iOS devices. Meanwhile, additional data from IDC showed that in third quarter of 2018, sales of the iPad gave Apple a comfortable lead in global market share in tablet shipments - with 26.6 per cent of the market (and 9.7 million units shipped) in the period. Apple iPhone and iPad users have long enjoyed the ability to make video calls to users of other Apple devices using the popular FaceTime application, but the availability of Atheer as a native iOS app marks the first time that Apple iPhone and iPad users will be able to make group video calls from an AR Management Platform that not only supports the iOS, Microsoft Windows 10 and Android operating systems, but also a broad range of devices including smartphones, tablets, notebooks, smart glasses (both monocular and binocular) and desktop computers. While in a group call, users of Atheer can also zoom in and out of live video, as well as make and share annotations about images from the call. The ability to annotate images from a live video feed makes a real difference to the way teams can collaborate. 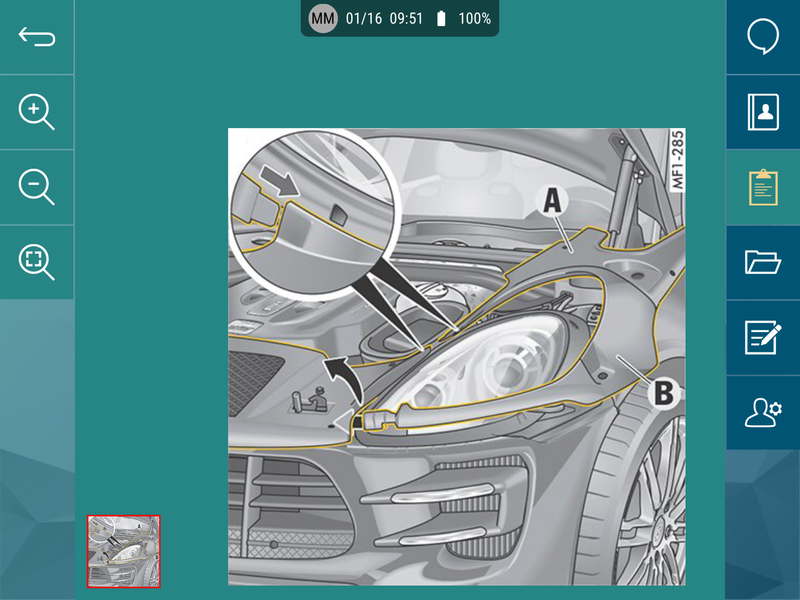 Atheer supports free-form annotations as well as predefined annotations that include arrows, text, multi-color objects with multiple options for thickness, and an undo/redo function that helps users refine their annotations more quickly. In addition to enabling device-agnostic group calling, Atheer can be used to author, share and collaborate on digitally-delivered work instructions. This allows enterprises to instantly provide anyone on a video call with the work instructions they need - if they exist - and with the information needed to create those work instructions if they don't. One of the greatest challenges many industrial enterprises face in implementing augmented reality is that they just don’t have the infrastructure to deliver high bandwidth and reliable connectivity for their users to properly do video calls. Atheer’s new low bandwidth option, introduced late last year and now available in video calls with Apple iPhone and iPad users, helps to meet this challenge, bringing more reliable video calling to workers in industries such as construction, oil and gas, mining, shipping and other sectors where getting and maintaining consistent high-bandwidth connectivity is an issue. Call organizers can now see on-screen data about the network connectivity status of any user on a “See What I See” video call, allowing them to downgrade the video resolution of any user on the call when they are experiencing low or fluctuating network connectivity. Contact either your Atheer customer care representative or Atheer support -(via support@atheerair.com ) to get your copy of the new Atheer iOS app.